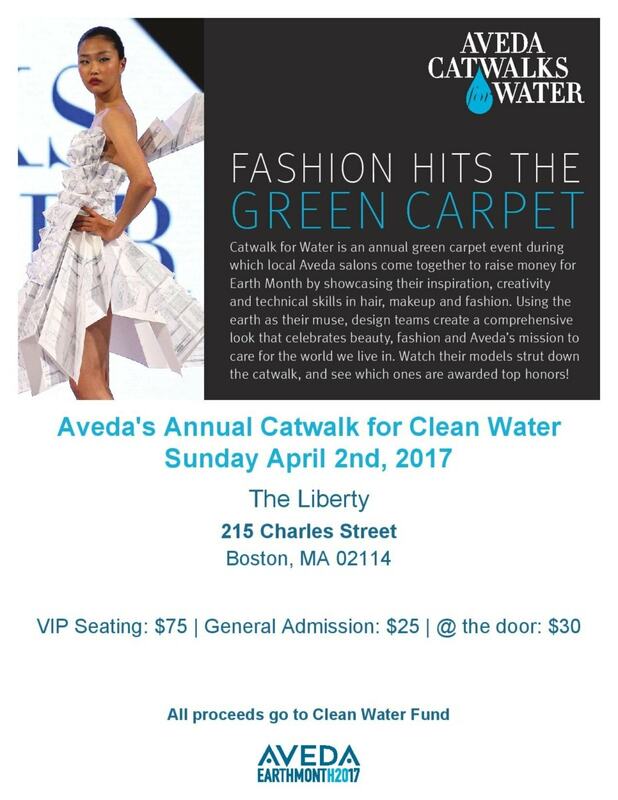 The 2017 “Catwalk for Clean Water” presented by Aveda is coming up on April 2, 2017, at the Liberty Hotel in Boston. You’re invited to join us for the fun! 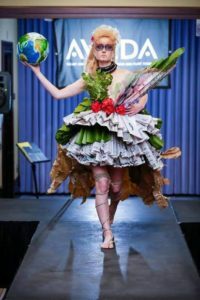 Salons are required to create a character using all recycled materials for their costume and only Aveda hair and make-up products to achieve their look. One by one, a salon model walks the runway, showcasing their creation, all vying for a win. Competitors are judged by their creativity in concept and ingenuity in costume creation, as well as use of recycled materials and professionalism when it comes to hair and make-up. Guests of the event can enjoy an interesting show of each salon’s creativity on the runway, as well as cocktails and dinner at the historic Liberty Hotel, at their discretion. 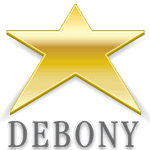 Debony Salon will be represented, not only by its model and design team, but by staff and friends of the salon in the audience. We encourage anyone looking for a fun night out to join us for this unique event! The show is open to all and tickets can be purchased at the door. Bring cash or check for General Admission tickets and join us for the event! Or you can purchase tickets online at https://www.crowdrise.com/boston-catwalk-for-clean-water-general-admission. This will be the third year that Debony Salon participates in this event. In 2015 and 2016, the salon was the proud recipient of “Best Overall,” and is hoping to defend its title in the 2017 competition. In 2015 the design team consisted of Sarah Jette, as the model; Blair MacDonald, as the make-up artist; and Tarmey Ross as the hair stylist; with a collective effort by the salon in making the costume. Creating the concept of the “Earth Warrior,” Tarmey created a texturized pompadour, with braids, use of a crimping iron and curling iron. She also transformed Sarah’s hair from a brunette to a blonde, capitalizing on the Aveda Blonding Finish toner. The costume was made from packing materials from Aveda’s shipments as well as newspaper and cardboard. Blair focused on creating a ‘warrior’ mask around Sarah’s eyes, mixing Aveda eyeshadow and mascara together to build upon itself and create a dark shadow. She then drew white circles to frame the mask, using a white eyeshadow pencil. In 2016, the salon took a harder, and more punk-rock turn, creating the character “The Messenger.” This concept focused on Earth’s need for an ambassador to fight for clean water and how, as an issue, the need for clean water unites us all. The team consisted of Jaimie Crawford as the model; Tarmey Ross on hair design, Sarah Jette as the make-up artist, and Debony Diehl and Cassie Capone on costume design. 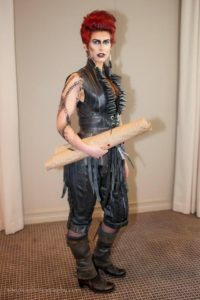 Cassie and Debony drew inspiration from the Steampunk stylings of the past and created a costume made entirely out of the inner tubes of bicycles. Jaimie held a scroll that had the message of how important clean water was for all. Tarmey cut Jaimie’s hair into a short pixie cut and dyed it cherry red, using Aveda’s newly introduced red color system, from the Full Spectrum color line. She built a pompadour using Aveda’s Volumizing Tonic as well as Control Force hair spray, to create a more androgynous style. Sarah focused on white washing Jaimie’s face and went back in with a dark powder to create a harsh contour on her cheekbones as well as creating a hollowed out eye with the use of black eyeshadow and mascara as well as a bright highlighter with white eyeshadow. For 2017 the team is taking an entirely different approach to its concept and can’t wait to share it with the public. What will it be? Stay tuned!….